Constance “Connie” (Van Zylen) Ryskamp-Schipper, age 87, of Holland died Tuesday, November 27, 2018 at The Inn at Freedom Village in Holland and was welcomed by her Lord and Savior Jesus Christ. Connie was born July 9, 1931 in Holland, Michigan to Charles and Emma (Post) Van Zylen. Connie graduated from Holland High School in 1949. In 1953, she received her bachelor’s degree in elementary education from Hope College. She furthered her education by earning her master’s degree in Reading from West Chester University and her doctorate in education (EdD) from the University of Pennsylvania. She spent her career as a reading specialist, a reading programs coordinator and an elementary school principal. 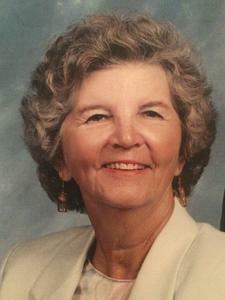 Connie’s hobbies included crafts, sewing, knitting, reading, golf, and playing cards and board games. Connie used her considerable energy, creativity, leadership abilities and concern for others as she participated in and led community and church groups. A woman of deep faith, she was a long-time member of the United Presbyterian Church of Manoa in Havertown, Pennsylvania, where she served as deacon and elder, in addition to other positions. She also played pivotal roles in establishing the KEEP preschool program and Mothers of Preschoolers (MOPS) group at her church. Active in her community, Connie served as president of the Women’s Club of Newtown Square and helped establish the Newtown Public Library. A gregarious person, Connie enjoyed spending time with friends and family. She especially relished summers at the beach in Ocean City, New Jersey, and after retirement wintered in North Fort Myers, Florida. She and her husband Jack travelled extensively for pleasure and to spend time with their 10 grandchildren. She was preceded in death by her first husband John (Jack) Howard Ryskamp, son Dr. Richard Post Ryskamp, brother Charles Van Zylen and sister Maxine Van Zylen Battjes. In 2011 she married Wayne Schipper of Holland, Michigan and moved to Freedom Village in Holland. Connie will be remembered for her warm, welcoming personality, ready smile and boundless energy. She will greatly be missed by her husband Wayne, daughters Cynthia (Michael) Mehallow, Carol (Glenn) Anderson and Nancy (Michael) Maratea, her daughter-in-law Annemarieke (Van Gurp) Ryskamp, as well as her grandchildren: Samuel Ryskamp, Thomas Ryskamp, Michael Mehallow, Matthew Mehallow, Michelle Mehallow, Eric Anderson, Evan Anderson, Marisa Maratea, Jenna Maratea, and Justin Maratea. A celebration of Connie’s life and faith will be held 11:00 am, Monday, December 3, 2018 at Overisel Reformed Church, 4706 142nd Avenue in Overisel. Reverend Kenneth Kleinheksel will be officiating. Burial will be in Restlawn Memorial Gardens. Visitation will be from 6-8:00 pm, Sunday, December 2, 2018 at Dykstra Funeral Home – Mulder Chapel, 188 West 32nd Street in Holland and from 10-10:40 am at the church prior to the service. Memorial contributions may be given to The Michael J. Fox Foundation for Parkinson’s Research. To sign an on-line registry or to leave a memory, please visit www.dykstrafuneralhome.com.